Mars-Chroniken - Sind Regenwürmer stark genug für den Mars? Raumfahrt - ANALYSIS: Are we really headed to the moon? Luftfahrt - Die Zukunft der SR-72, als Mach 6 Angriff und Aufklärungsflugzeug. 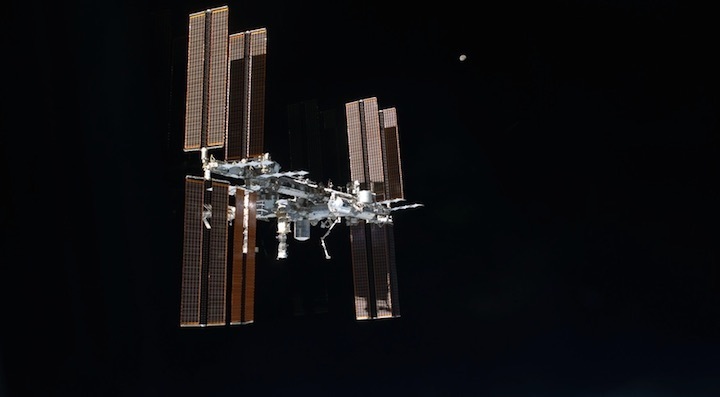 ADELAIDE, Australia — The partner space agencies of the International Space Station said Sept. 25 they have had discussions about the future of the station beyond 2024, but indicated no urgency in making a decision. At a press conference during the 68th International Astronautical Congress here, NASA Acting Administrator Robert Lightfoot said he has talked with the other partners about both an extension of the ISS as well as cooperation on the agency’s proposed Deep Space Gateway, although no decisions on either were imminent. Lightfoot added that discussions among the heads of agencies are planned for this week at the conference, but didn’t indicate a timeline for making a decision beyond noting that the European Space Agency didn’t formally commit to the extension of the ISS to 2024 until a ministerial meeting last December. Lightfoot cautioned that the Deep Space Gateway remained just a concept at this time, without the former endorsement of the project by the administration or Congress. “We shared that with our international partners,” he said, starting with discussions in April at the Space Symposium in Colorado Springs. At a panel discussion later in the day at the conference, executives with Boeing and RSC Energia endorsed continued work on the ISS as well as development of the Deep Space Gateway concept.